The GX-950 bridges the communication gap between synchro and NMEA 0183. 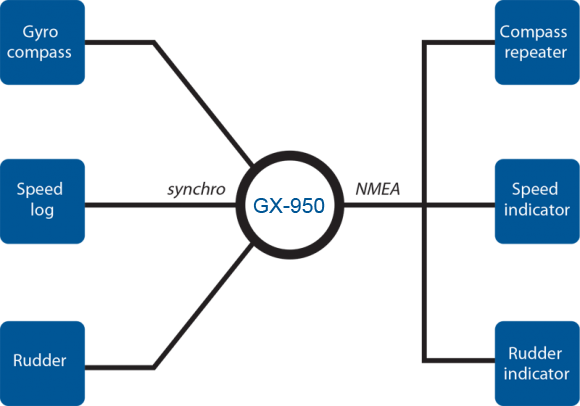 Today’s standard communication protocol between maritime electronic devices is NMEA 0183. However, a variety of devices still output synchro data which makes interfacing an entire system challenging. Using a versatile, low cost, state-of-the-art, single chip, 16 bit monolithic synchro-to-digital converter, the GX-950 converts synchro output voltages and frequencies into standard NMEA 0183 serial data. 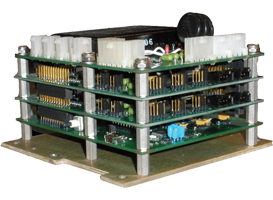 The unit is user customizable including programmable resolution, bandwidth, velocity output scaling, and encoder emulation.